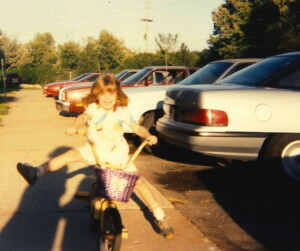 After nearly 25 years in Ypsi, the empowered little girl you see below will soon be breaking free. 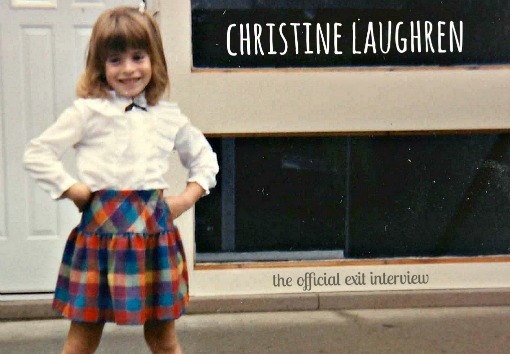 Please join me in wishing Christine Laughren safe travels as she embarks on the next chapter of her life, far away from the American midwest… Here’s her official exit interview. MARK: What first brought you to Ypsi? Did you come for college, or were you here before that? CHRISTINE: My mom moved the family to Ypsilanti in the late ‘80s. We lived in what are now known as the Ridgewood Apartments on Carpenter Road. I learned to ride my bike without training wheels in that complex. [See photographic proof below.] And, I remember walking to Meijer for groceries on occasion. Apparently there was a fire in the complex while we lived there and a shooting not too long after we moved out. After nearly two years, we’d moved on to greener pastures near Ford Lake. That complex was my introduction to Ypsi, though. MARK: So, you graduated from high school here? CHRISTINE: Yes, I graduated from Lincoln Consolidated (“go Railsplitters”), and moved into the City soon after. 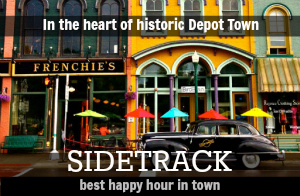 I’ve been in Depot Town for more than a decade now… through my college years at Eastern Michigan University and beyond. In total, I’ve lived in Ypsi for a solid 25 years. MARK: What brought your family to Ypsi? CHRISTINE: My parents met in the Highland/Milford area. It was love at first sight at the local watering hole and they quickly married. However, after several years, and a couple kids, they decided to throw in the towel and part ways. Ypsilanti was closer to where my mom worked (as an engineer at the ol’ Ford plant on Ford Lake), so it made sense for her to move us out this way. My dad stayed in Highland. MARK: Were you happy about the move? CHRISTINE: I’ll admit I didn’t really appreciate Ypsilanti until after I graduated high school and left the Township. In Highland, I had tree forts, land, and gardens. We’d lived on a secluded lakefront property. 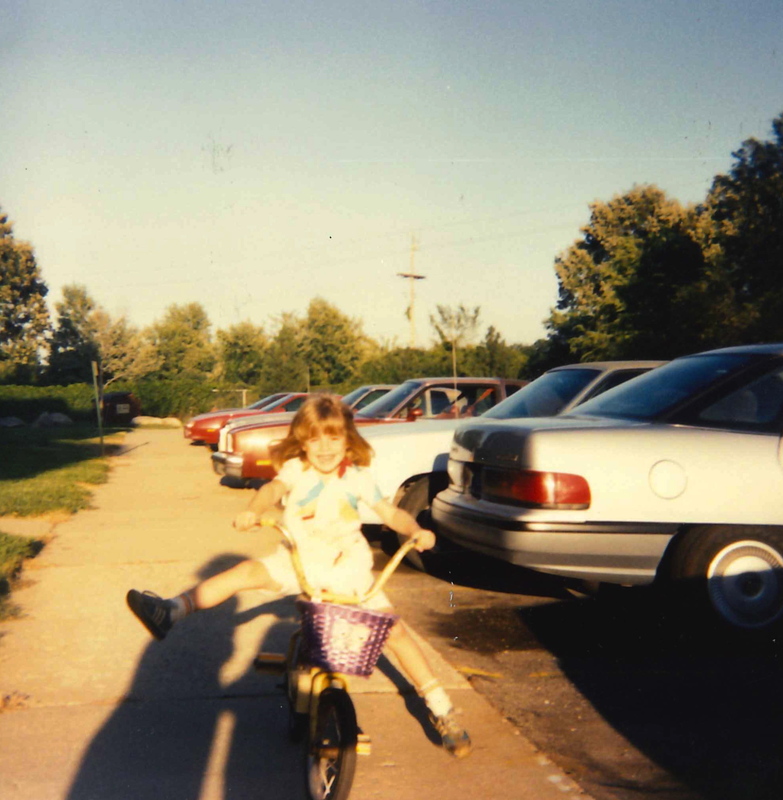 In Ypsi, I had subdivisions and after-school activities that the introvert in me loathed. I dreaded returning to Ypsi after weekends and summers in Highland. It wasn’t until I moved to the City in 2002 that my Ypsi perspective completely changed. MARK: If you had to sum it up in one phrase, what would it be? What was it that changed your opinion of Ypsi? CHRISTINE: Exposure to creativity and innovation. 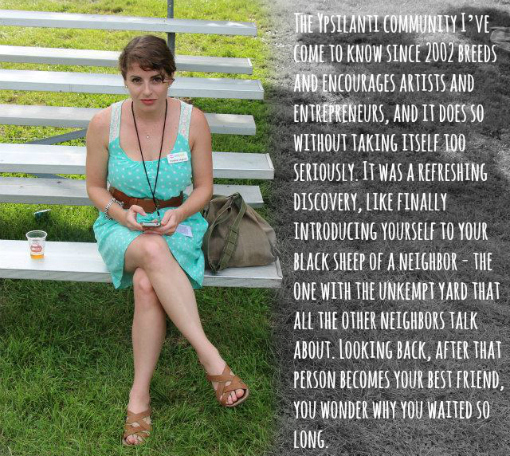 CHRISTINE: The Ypsilanti community I’ve come to know since 2002 breeds and encourages artists and entrepreneurs, and it does so without taking itself too seriously. It was a refreshing discovery, like finally introducing yourself to your black sheep of a neighbor – the one with the unkempt yard that all the other neighbors talk about. Looking back, after that person becomes your best friend, you wonder why you waited so long. MARK: How’s Ypsi changed since you first arrived here as a kid? CHRISTINE: Well, some things never change, like the tie-dye tent at Heritage Festival or a cream filled Long John from Dom’s Bakery. But the corner of Ypsi I hail from grew in big ways during the housing development boom years of the ‘90s and the early aughts. We came to the area in one of the first waves, with the opening of the Ford Lake Heights development. Ford Lake Village followed a few years later. After that, new subdivisions would appear, seemingly overnight, and grow exponentially. Eventually, they’d merge into one mega-subdivision. My mom and sister still live on that side of town and it seems like that part of Ypsilanti Township continues to grow with new housing developments. As long as there’s land to be had, it’ll continue to grow. Speaking of which, I’ve heard some rumors about a potential new business development near the Buffalo Wild Wings, but you can’t believe every rumor you hear. CHRISTINE: Ha! I only share those at the Tap Room over bourbon and beers. Here’s a story for your arsenal, though. 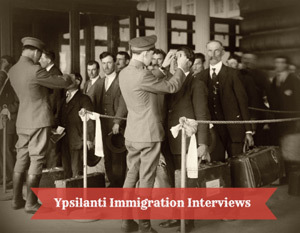 In the early days of what we now know as Ypsilanti, town elders got into the habit of gathering regularly to enjoy a drink or two, or three, at the local watering hole. And, it would seem, these continual late nights did not go unnoticed by their wives. The town elders needed to come up with some sort of an excuse for their drunken revelry; thus the Ypsilanti Frog Killing Coalition (YFKC) was formed. You see, trenches built to connect the sawmill owned by Mark Norris with the Huron River created an island that had become overrun with frogs, which were considered to be a general nuisance to the Ypsilanti community. It was the brave men of the YFKC who took matters into their own hands and dutifully lowered the local frog population on a regular basis. Or, maybe they just continued to stay out late and have a few extra drinks at the bar. Nobody ever actually saw the YFKC in action, and you can’t find one bit of history about the organization, but that, my friend, is how Frog Island acquired its name. True story. MARK: And where are you heading off to now? CHRISTINE: West Africa! If all goes as planned, I’m jumping on a plane the first week of October to be spirited away to the hot and humid shores of Ghana’s Gold Coast. I’m joining the Peace Corps, as part of their agriculture program in Ghana. Although I’m a little older than the median Peace Corps Volunteer (PCV), I figure better late than never… It was time for a new career move with a change of scenery and perspective. MARK: Do you know yet what you’ll be doing? CHRISTINE: Among other things, I’ll help develop and improve agribusiness and agriculture production practices. MARK: Is this something that you’ve been thinking about for a while now? CHRISTINE: Not particularly. I’d like to say it was my childhood dream to join the Peace Corps and travel the world, but it wasn’t really on my radar until I came to an impasse in my career. MARK: What was your childhood dream? CHRISTINE: To be a landscape architect. I know it’s not every little girl’s hobby to dream up garden plots with dogwoods and daffodils, but that’s how I spent my time as a kid. 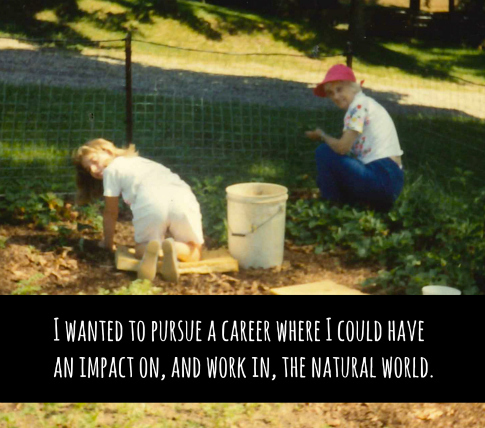 I wanted to pursue a career where I could have an impact on, and work in, the natural world. The problem was I didn’t know what that meant for me, and, for some reason, those dreams kind of slipped away the closer I came to graduating from high school. MARK: So, what got you thinking about the Peace Corps, and revisiting this earlier vision you had for a career outside, working in nature? CHRISTINE: It was a trip I took to Kenya last year that ignited a spark to pursue a new career path and experience more of the world. I love Ypsilanti as much as the next person, but I was beginning to get the feeling that, if I didn’t leave now, I never would. I’m looking forward to joining a new community, one that could really use my help. I’m looking forward to traveling more. I’m looking forward to a potential future career in conservation or environmental management. Really, though, the possibilities for my future are broad and unknown and that’s exciting for me. MARK: How long will your assignment in Ghana be? And what kind of training do you get through the Peace Corps before shipping out? CHRISTINE: The assignment is two years, three months. I ship out right away to begin approximately 10 weeks of training in Kukurantumi, a town in the eastern region of Ghana. During that time my fellow Peace Corps volunteers and I will go through intense language, culture, and technical training. We will also receive training on Peace Corps policies, medical care, and administration issues. About two weeks of this time we will be “out in the field,” engaged in a variety of planned activities in actual communities throughout Ghana. We will be assigned to a village and region within the country during the training process, and my two years of service kick off in December, 2014. MARK: How does it typically work? Are you likely to be assigned to a team, or is it more likely that you’ll be the only Peace Corps person in your village? CHRISTINE: You’re mostly out on your own. Transportation is limited, and Peace Corps Volunteers (PCV) are not allowed to drive themselves anywhere, ever. There may be another volunteer stationed relatively close to me, but it’s very likely that I will be the only American for miles. MARK: I’ll admit that I don’t know very much about the political situation in Africa, but, from what little I know, Ghana seems like it’s probably one of the better places to be stationed. At least I’m not aware of much in the way of either sectarian violence or terrorism. And, to my knowledge, they don’t have any reported cases of Ebola… What have you learned about the country since finding out that you’d be spending the next few years of your life there? CHRISTINE: You’re right about the stability factor. This will be the third reassignment for some of my fellow PCV, who will be shipping out with me in October. Kenya, Azerbaijan, and Ukraine assignments have all been canceled recently due to political instability. Liberia, Sierra Leone, and Guinea were evacuated at the end of July because of the Ebola outbreak. A lot of these Peace Corps countries have some level of instability, and you can’t really anticipate how large some of the political and health crises can become. As with most countries in Africa, there have been some growing pains since European colonization ended, but Ghana has had several successful transfers of presidential power since the multi-party system was restored in 1992, and it would appear that things are relatively stable. I imagine corruption may be one potential roadblock or headache I may encounter as a PCV. Ghana loses about $4 billion every year as a result of corruption in the public sector. MARK: I think, when we first met, you were writing for the Courier, right? CHRISTINE: It’s possible. I was either a staff writer at the Ypsilanti Courier or editor at the Eastern Echo. I don’t think we’d launched the Ypsilanti Citizen yet. It’s all a blur. For a while I was working four jobs, or something ridiculous like that. I’m sure I interviewed you about the Shadow Art Fair, right? Or maybe we met at MoFo Karaoke at the Elbow Room, circa 2007, when Tassie and Damon would get crazy with the bubble and smoke machines, and I would serenade the crowd with Lee Ostler’s Back to Ypsilanti. Whenever it was, it seems like ages ago. MARK: Speaking of the Ypsi Citizen, the local news site that you launched in late 2008, how’d it come about? 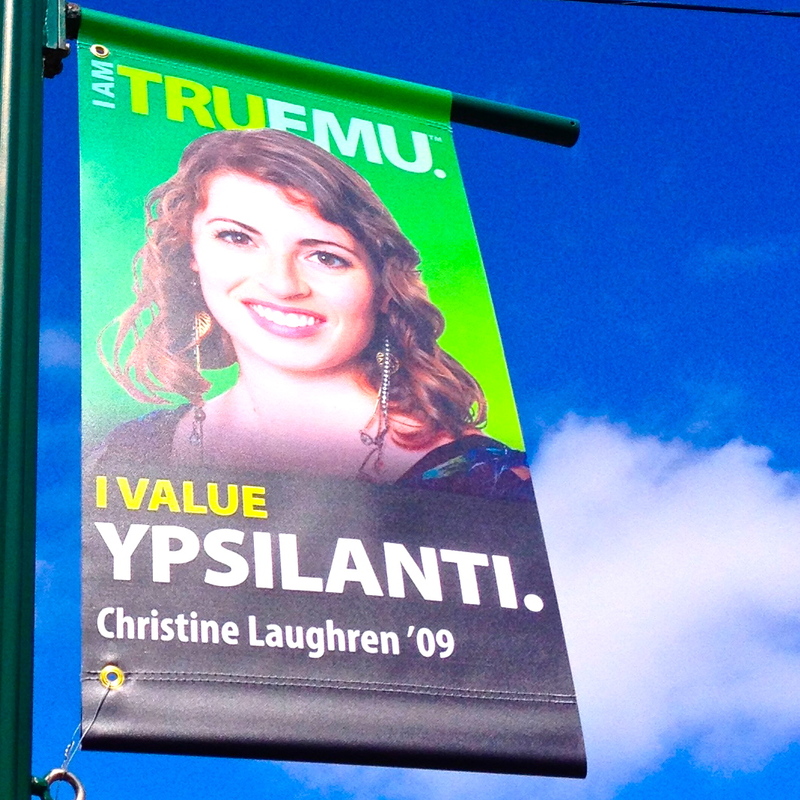 CHRISTINE: I was nearing graduation at EMU after an internship at the Ludington Daily News. It was the summer of 2007. I’d returned to the Eastern Echo as editor-in-chief. I knew, when I graduated that I wanted to stay in the industry, but I also knew I didn’t want to dive into the traditional newspaper world. Larger news organizations, like Heritage Media, were struggling to adapt to an increasingly digital environment. They were slow to adopt technology. They were slow to take advantage of new digital opportunities, if they did at all. Innovation was low and status quo was the norm, even though everyone knew the model wasn’t working anymore. It was frustrating, and I was beginning to doubt my future as a journalist. Enter fellow Echo reporter, and friend, Dan DuChene. We were venting about the limitations we were facing, and how frustrating it was, when he mentioned that he had been kicking around the idea of launching his own online news source. We discussed multimedia opportunities, we talked about the mobile journalism model, and we determined that there was a real need for balanced and timely community news in the area. Dan and I brought on an additional partner, Andrew Cipolla (another Echo alum), and the three of us spent a year in development mode; building the website, establishing the Ypsi Citizen brand, planning the editorial calendar, constructing the revenue model, formalizing the business entity, etc. We officially launched the website in November 2008 and it grew from there. MARK: How close did you come to meeting those revenue projections? CHRISTINE: We launched the Citizen just as the economic crisis was in full swing. We always turned a profit, but we really always had to rely on our other jobs to pay the bills. Of course we paid our staff writers first and we always looked to see if there were any investments we could make to improve the product. It was definitely a labor of love. MARK: What did you learn from the experience? CHRISTINE: I learned more about what my definitions of success and failure are. Some people would probably look at the short-lived Ypsilanti Citizen and call it a failure. However, the experiences I gained led to lifetime community connections. It led to a partnership with Pakmode Media and the creation of iSPY Magazine. And it ultimately led me to Visit Ypsilanti. The experience continues to influence the decisions I make today and I’d call that a stunning success. MARK: When did you and Dan decide to pull the plug? CHRISTINE: It was in 2010, at the Relay for Life. I had made the decision to move to Toledo to pursue a relationship. Dan had begun to pursue law school; he was ready to move on too. We walked around the path in Riverside Park and talked about how far the Citizen had come, and how far it could go. Ultimately, we determined that we both wanted to take our careers in new directions. Plus, we were also still fully vested partners in iSPY Magazine at that time. It was becoming hard to juggle the multiple jobs with low profit margins. Earlier, when I said I had four jobs, it was around that time. MARK: And, these past few years, you’ve been at the Ypsilanti Convention and Visitors Bureau, working on the Visit Ypsi campaign. How’s that been? CHRISTINE: It’s hard to leave after spending four years building the “Visit Ypsi” brand from the ground up. Deciding to leave the Bureau has been one of the most challenging career transitions I’ve ever faced. It feels a lot like I’m abandoning a child that the Ypsilanti community and I have raised and nurtured. MARK: What are some of things you’ll remember from this last chapter in your professional career? CHRISTINE: Closing down Cross Street and doing a Pure Michigan video shoot at the water tower. 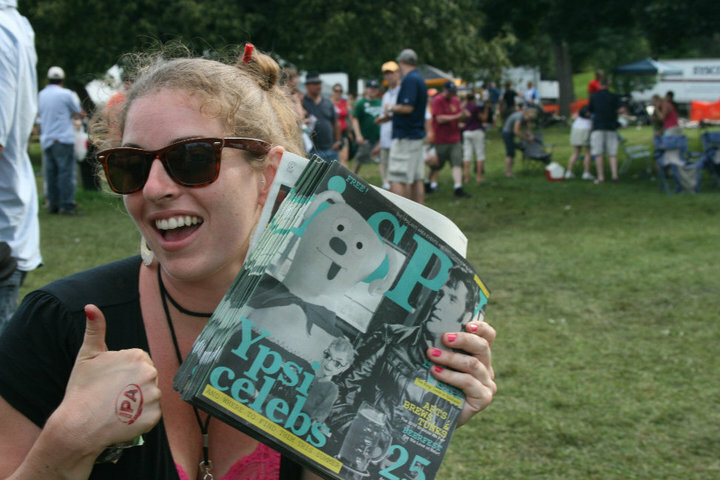 Creating an Ypsilanti visitor’s guide, after the area had gone without one for more than 20 years. 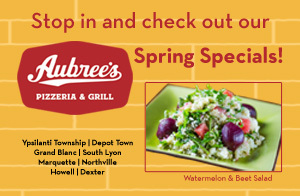 Promoting the heck out of the area via our website, social media, and other digital and print platforms. There are way too many things to list. In short, we’ve accomplished a crap-ton. This community has helped me share the Ypsi love with the world in ways I never would have imagined, and I can’t begin to thank everyone enough for helping me make Visit Ypsi brand what it is today. I’ve been going through withdrawals these past few weeks, as I been transitioning out of my job. I’m still even holding onto little projects here and there, like the Instagram Scavenger Hunt, and the installation of a Visit Ypsi promotion on an empty billboard in the Huron Street parking lot… I thought, after doing it for four years, that I’d like to divorce myself from all social media, but I find myself going to my personal Facebook page and posting stuff about Ypsi. I said I’d never take a food shot with my own Instagram account, but I just posted a photo of the Sidetrack Strawberry Shortcake the other day. MARK: What do you think you’ll miss most about Ypsilanti once you’re in Africa? CHRISTINE: Family and friends are at the top of my list without a doubt. However, food comes in a close second. (See the mention of the strawberry cheesecake above.) I believe I’ll be able to connect with family and friends while I’m in Ghana, but I’m mentally preparing myself for a land with no cheese, and that’s been tough. I may have to remove the Wurst Bar from my news feed so I don’t accidentally stumble across a photo of a delicious brat or one of their burger concoctions. Same thing goes for the Beezy’s soup of the day. Damn you Ypsi and your delicious food! Not that I ever really cooked at all to begin with, but lately I’m taking advantage of every opportunity I can to eat out at my favorite Ypsi haunts. I may gain 10 pounds before I leave, but I’ll probably lose it all not too long after I get to Ghana. MARK: As I understand it, you’ve got plans to stay connected to Ypsi while you’re in Ghana through projects you’re trying to get launched with FLY Children’s Art Center and Growing Hope. What are you envisioning? CHRISTINE: The Peace Corps has a set of 10 core expectations for it’s volunteers, and the last two play into a project I’ve dubbed “From Michigan to Ghana with Love.” The goal here is to share the people, culture, values, and traditions of the United States with my Ghanaian host community, and vice versa. Many PCV take on secondary projects in addition to their main assignments, and I’m attempting to utilize the relationships I’ve built here to make connections between Michigan and Ghana during my time away. MARK: And I see online that you’re trying to raise $5,000. Assuming you can raise it, what would that be going toward? CHRISTINE: I wasn’t sure what to set the amount at, but I figure it’s best to aim high. The funds raised will help launch these secondary project opportunities I’d like to pursue in Ghana. For instance, I’d like, if possible, to facilitate an after-school art program in my host community, which could be run in conjunction with FLY, here in Ypsi. We’ve met a few times to discuss specifics, and we’ve got some pretty good ideas as to how the kids could cooperate and learn from one another. Similarly, I’ve been talking with folks at Growing Hope about setting up a dialogue between our two communities. As we strive to improve food security in our corner of Ghana, I think it would be invaluable to have a knowledgeable organization like Growing Hope to consult with on things like community gardens, keyhole gardens, food entrepreneurship, and the like. Anyone who’s interested is welcome to join me from 5:00 to 9:00 PM, on Friday, September 26, at the Corner Brewery, to discuss these various initiatives, and, if they like, contribute to “From Michigan to Ghana with Love”. All funds raised will be tracked on my website and administered through the organization’s secretary/treasurer (my mother). (I wasn to be completely transparent about how the funds are spent, etc.) And donors will be kept abreast of the campaign through a newsletter. If people would like to come, they can RSVP here. And, I just started up a Go Fund Me page, so people can donate onlineas well. MARK: Any parting thought for the people of Ypsilanti? CHRISTINE: Indeed. I would say keep up the good work. It’s been a privilege to be a part of this community. The continued innovation stemming from the area is inspiring. I hope to take what I’ve learned here in Ypsi and apply it to new experiences in Ghana. It will be exciting to return after 2+ years and see how the area has grown and changed. I know the world will continue to see amazing developments coming out of Ypsilanti. This entry was posted in Special Projects, Uncategorized, Ypsilanti and tagged Africa, Agriculture, Andrew Cipolla, Back to Ypsilanti, Carpenter Road, Christine Laughren, Dan DuChene, Dom Bakery, Eastern Echo, ebola, Elbow Room, EMU, exit interviews, FLY Children's Art Center, Ford Lake, Frog Island, frogs, From Michigan to Ghana with Love, Ghana, Growing Hope, Heritage Media, Highland, iSPY, karaoke, Lincoln Consolidated, Mark Norris, Pakmode Media, Peace Corps, Pure Michigan, Ridgewood Apartments, Shadow Art Fair, sprawl, Visit Ypsilanti, water tower, Ypsi Citizen, Ypsi/Arbor Exit Interviews, Ypsilanti Area Convention and Visitors Bureau, Ypsilanti Citizen, Ypsilanti Frog Killing Coalition, Ypsilanti Township. Bookmark the permalink. Post a comment or leave a trackback: Trackback URL. 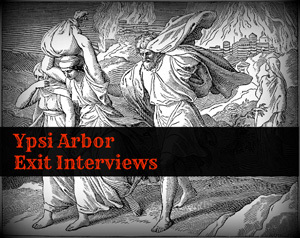 I just counted and this was my 26th exit interview. One of these days, I should put them all together and distribute them as a zine or something. Taken altogether, it’s pretty interesting stuff. Also, I only have 21 immigration interviews as of right now, so it’s a bit uneven… If you have interesting friends, please convince them to move here, OK? And, back to the zine idea, the way I’m envisioning it, there would be two front covers, and, depending on how you picked it up, it would either be Exit Interviews or Immigration interviews. And the two would meet in the middle with a map of Ypsi or something. I wish her well in Ghana. Thanks for the interview, Mark. 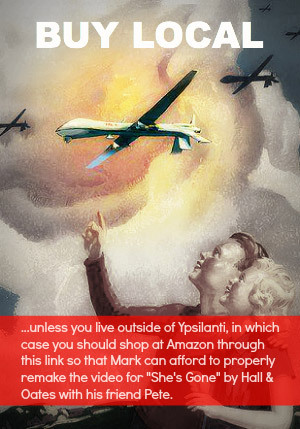 I look forward to staying up to date on all the Ypsi happenings via markmaynard.com. 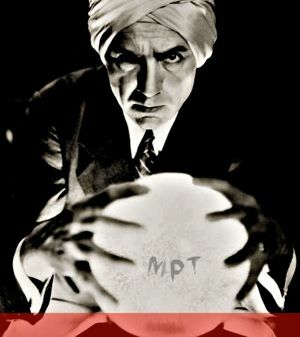 Christine, can you find someone to make a poster for the movie version of MarkMaynard.com? Shouldn’t Ypsilanti have a program to retain the attractive people? Oh well, I guess it might be too late. Christine made it to Ghana.